Say hello to the team behind The Medic Portal Professional. For more information on our partnership with The Royal Society of Medicine, click here. For our sister company, The Medic Portal, please click here. Details on The Lawyer Portal may be found here. Chris graduated from UCL with a first class honours degree in Neuroscience and a prize-winning degree in Medicine. He is an FRCEM, and currently holds both an MRCP and MRCA. He has a passion for education, holding a PgCert in Clinical Education and Fellowship of the Higher Education Academy. Laura Maw is the Lead Content Editor for The Medic Portal Professional. 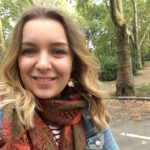 After graduating from Queen Mary, University of London with first class honours in English, Laura now manages The Medic Portal Professional’s online presence, written content and social media. 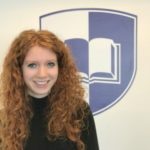 Alice is our tutoring and courses coordinator. She manages and ensures the successful delivery of our tutoring services, events and courses across both the Medic and Lawyer Portal. After graduating in a degree in French and Fine Art, Alice gained years of experience as an Assistant Director within the education and tutoring sector. Paul is our Lead Contributor for Medical Content. He graduated from UCL with a Medical degree and BSc in Othopaedic Sciences, and was awarded a merit in his MSc in Urology – again from UCL. He is currently working as a Urology registrar in the Kent, Surrey, and Sussex Deanery. 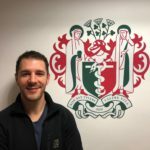 Dr Nicholas Batt graduated with a first class honours in Biochemistry, and obtained his medical degree from the University of Warwick. 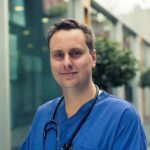 He has extensive teaching experience, both within medicine and also the charitable framework, particularly through Streetdoctors. He currently resides in Melbourne.